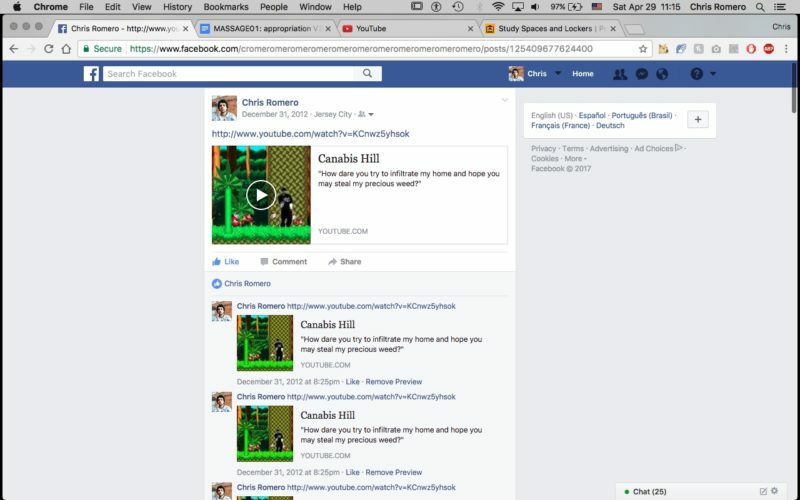 Series Essay #1 by Chris Romero, a curator. Japan and the US, from two viewpoints, compare the expressions. 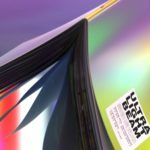 In this series of articles I will observe, compare, and contrast the work of two contemporary artists [or collectives] primarily from the United States and Japan. The focus of each article will pertain to art, digital culture, and contemporary life. The content I write about, and the way it is presented, is a continuation of an ongoing project of mine known as Window Sessions. Beginning in September 2016 I began research on media art and digital culture in Tokyo. Under the title Tokyo Window Sessions, I created a website and archive that was meant bridge art communities in Japan and the United States. This essay compares the work of US born artist Addie Wagenknecht with Japanese artist pair So Kanno and Yang02 [KS+y2]. 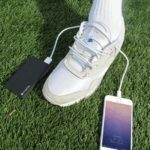 The focus of this essay is to examine how Wagenknecht and KS+y2 utilize found or repurposed materials (primarily technological devices) in unique ways, going against the materials original intention. Both Wagenknecht and KS+y2 push the boundaries of various objects – drones, robotics, spray paint, 3D printing, household objects – eloquently rewriting their potential. They reveal the true value of appropriation in contemporary art, which goes beyond simply copying and into creating a new perspective out of what already exists. We don’t often play around with the capacities of our technological devices. Rather than elastic or malleable technology, we are left with the mundane and habitual. Of course, when we do bend the social rules and norms of our computers or social media, others might tilt their heads in confusion. There was a period of time where I was very active on Facebook, but all I did was create absurd posts. This was a form of gentle trolling maybe, but there was no real audience for the content. I was trolling in a vacuum, trolling time away. This action, however, makes me think of Wagenknecht and KS+y2, whom find the flexibility in materials and use it to create potent commentary on social and political concerns surrounding the digital age. In the arena of art, their works offer a sense of possibility and freedom toward redefining what an artist creates and how they create it. They play with errors and randomness, imbuing a sense of spirit into circuit boards, metal, and house plants. In this way, the artists here are observers, looking at what is, and what could be. Black Hawk Paint, which began in 2007, is a series of ongoing paintings in which Wagenknecht pilots drones to create compositions. The drones, using simple maneuvers and instructions, spread acrylic and pigment across a canvas. In earlier versions of the series, using black acrylic paint, the drones had some difficulty. Their wing blades and bodies would get stuck in the substance, leaving the canvas to have splotches, smears, and circular markings. In video documentation of the artwork we see the drone struggling and crying as it tries to navigate the foreign substance. 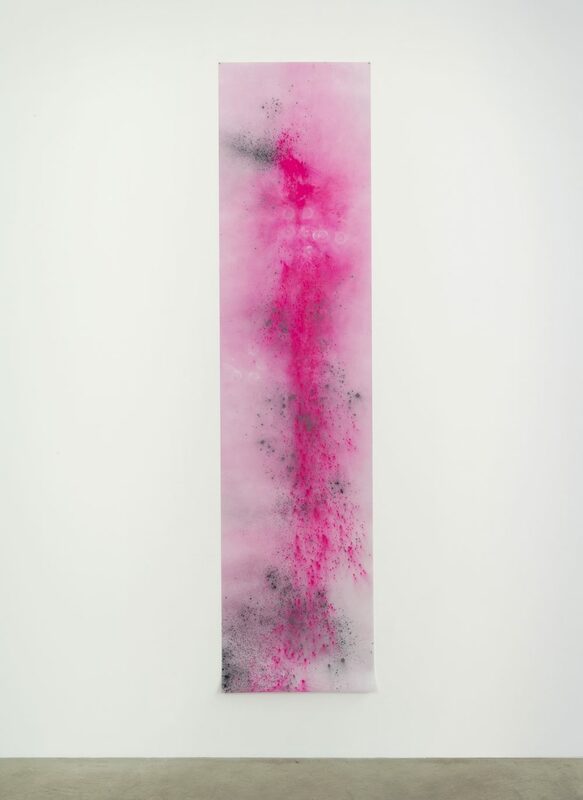 Since the initial series, Wagenknecht has implemented colored pigment, gunpowder, and other materials on vellum paper. The drone seems happier, being able to paint while gliding across the surface. The combination of these materials at times will change the appearance of the painting depending on the temperature and sunlight. The coloration of this series is also inspired by the Holi festival, which celebrates color and love – ironically counterposing the drone’s original purpose. In this series, many of the works are vertically displayed, expressing a feeling of flight or lightness. This reflects one of the many dichotomies Wagenknecht presents in her work. Here, the delicacy of the compositions counteracts the rough metallic drone. In the newest series of paintings the drones seem to fly more effortlessly, unbound from the sticky nature of the acrylic. Circular markings, and other imprints remain remain, but a more delicate touch is present. The variations in the series demonstrates the capacity for drones as a tool for art. Different drone models and different materials allow for an array of possibilities, all of which push the drone further away from it’s initial intention as a device for surveillance and war. Senseless Drawing Bot [SDB], an ongoing series created in 2011, reflects on the relationship between machines and humans. Variations of SDB have focused on portraiture, drawing, and collaboration with kids and other artists. The series touches upon the notion of authorship in contemporary art, the autonomy of machines, and the definition of graffiti art. In the series, KS+y2 create custom designed robots that paint and draw on horizontal surfaces. The machines have been featured in train stations, museums, and other public settings. 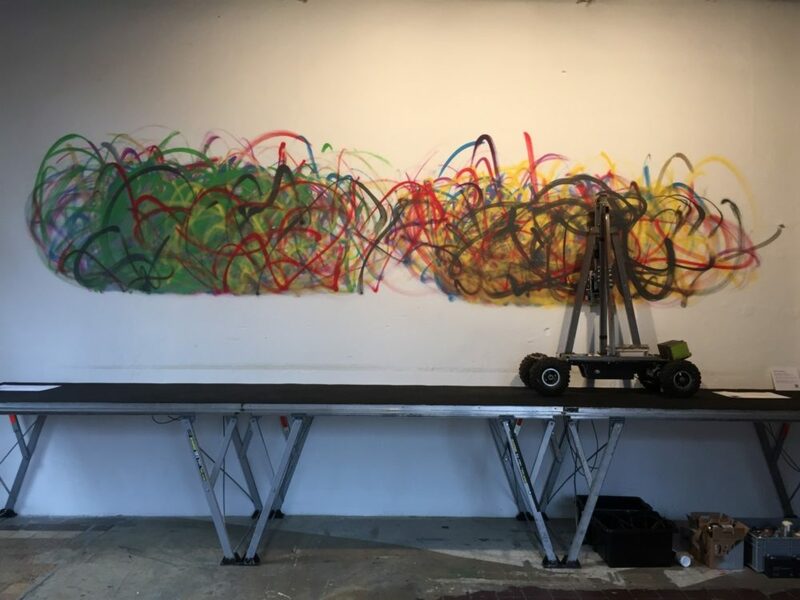 In the original iteration of the works a machine sits atop a skateboard and moves left and right to spray paint a wall. Watching the machine move and perform is often as important as viewing the final tag. As the machine flails its single arm, in pendulum like motions, it feels like an authentic imitation of a human graffiti artist. Still, many elements of the machine are entirely different from a human hand. As apparent in the title of the works, the machine is senseless. It does not have a specific motivation in completing the work, it is not writing its name or making a political statement; it is simply tagging the walls. This randomness is something humans cannot hope to imitate as our actions always have some sort of motivation or decision making process attached to them. Because SDB was custom made, it is not the same as other appropriated objects and materials discussed in this essay. In its senselessness, KS+y2 allows the machine a sense of freedom or autonomy to create a painting. By not interrupting the machine, they are allow it to exist untethered from human intervention. In a broad sense, the purpose of a machine is redefined, but more specifically SDB reconsiders the nature of graffiti art and the concept of authorship in contemporary art. Graffiti is the co-opting or claiming of a space through painting. In tagging a building, a graffiti artist marks and appropriates a surface. In SDB, KS+y2, allow the machine to take on the identity of a graffiti artist, giving away some authorship of the work. These aspects are interesting to consider as contemporary graffiti artists begin to enter public institutions to create their work, which arguably goes against the original identity of graffiti art. For example, some might argue that seeing a Banksy artwork in a museum or an art collection removes his credibility as a true graffiti artist. Compared to this SDB has no concern for where it is, it only cares about tagging a surface with its imprint. In this way it could be argued that the machine has found a way to exist in the spirit of actual graffiti artists while still producing works within the walls of art institutions. Recently a surge of articles have popped up discussing the challenges of raising children while pursuing personal or career goals. It is a nice follow up to the surge of previous articles about the new dating culture inspired by Tinder and other dating apps. While the news is late to the reality of the issue, it remains relevant to millennials of certain countries such as the US and Japan. The situation is particularly difficult on women as they are pressured by society to have kids and fulfill many roles and responsibilities. Wagenknecht addresses these aspects through Optimization of Parenting, Part 2. Utilizing custom software and a robotic arm, the device rocks a bassinet back and forth in reaction to a baby crying or waking up. Wagenknecht creates a solution to some sort of societal issue or anxiety. The work confronts expectations of mothers to be full time parents on top of their other responsibilities and the sacrifices they must make to do so. Regarding the appropriation of the mechanical arm, these machines are usually used for mass production or for some sort of manufacturing role. Viewing this work also makes me think of Yang02’s solo exhibition Examples, in which household objects, a suitcase, pedestal, a toy car, and other objects, are given mobility and serve a different more function. Both Optimization and Examples seem to express an interest for understanding how robotics and software can and change our perspectives of daily life. In Optimization of Parenting, the use of the arm for taking care of a baby is sardonic but incredibly relevant. People are replaced by machines and yet we still put an enormous expectation on our work or raising children (both as full time jobs). Considering this, Wagenknecht appropriates the arm to confront societal standards and gender norms. In Asemic Languages a machine uses artificial intelligence to emulate the motion and shape of handwriting from a group of ten international artists. The machine learns the symbols and patterns of each letter creating new symbols. While it might look as though it is attempting to write, it is actually drawing. This feels deceptive in some sense, as we often expect machines to fulfill some sort of purpose. The machine, in removing the meaning of characters it writes, allows us to reflect on our experiences with language and communication. When we learn new words we apply visual techniques to remember them. For example, many students learning Japanese always think of the ツ symbol as a smiley face. It is human nature to form images in our mind when viewing letters and characters. Over time, however, we move on from this and focus on forming sentences. As we age it becomes increasingly difficult to remember what our first experiences with languages were like. Asemic Languages acknowledges this and creates new glyphs that we can view with a new sense of curiosity. The liberator gun is a recurring motif in Addie Wagenknecht’s work, utilizing it for shooting blank canvases, constructing chandeliers and most recently creating a series of vases. 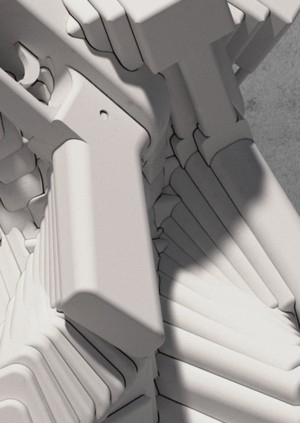 Released in 2013, the liberator is an open-source 3D-printable handgun. After thousands of downloads and in 48 hours the US Government attempted to remove its presence from the internet, though traces remain. When Wagenknecht repurposes something it is as if it is cracked open, allowing it’s locked up emotion or feelings to be revealed. Anxiety, humor, awkwardness, hope, futility, confidence, and self-doubt all spill out of the works. 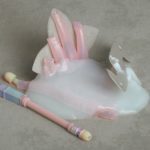 In the Liberator Vases, while it is humorous, there is a darker side to the piece. We often forget that technology can be used for dangerous intentions. Liberator Vases speaks to this through subversion. In the series, the liberator gun is transformed into a mundane everyday object. It is made inert and repurposed for use in suburban homes to hold flowers. Normally more guns means more power and violence. Here several liberators are stacked on top of each other to form the foundation of the vase. Their appearance reminds me in a way of the Photoshop clone stamping tool. The original imposing nature of the gun is erased, and the vase becomes an artifact. 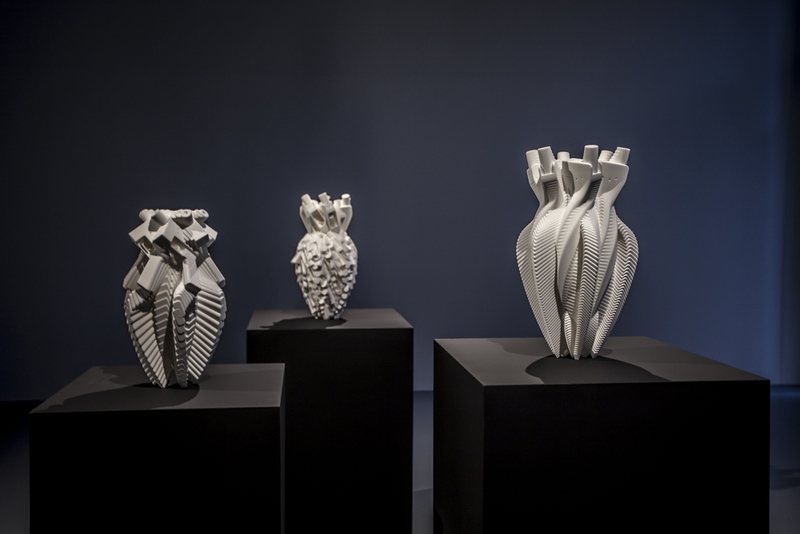 As an artifact, the vases depict a moment in time where 3D printed weapons are readily available to be used for violence or household decoration. KS+y2’s most recent work, the exhibition Avatars, redefines both physical and virtual space. Taking place at YCAM from [DATES], KS+y2 have installed 16 objects in the art space that can be remotely controlled over the internet by anyone around the world. The design and actions of the robotics have a humorous spirit. A potted plant, a roomba (an object Wagenknecht has also used), and other objects, are repurposed to incorporate webcams, microphones, wheels for movement, and other parts. They become moveable and communicative objects – allowing interaction and dialogue from denizens on the internet to those in Yamaguchi. There are many dualities presented in the installation including object and human, interior and exterior, virtual and real, inanimate and animate, home and public. Artificial intelligence and human intelligence also comes to mind. The piece operates almost like a two-way mirror. Controlling a machine online means a viewer can see the YCAM and visitors, but their vision is limited, they cannot see the object as they control it. On the other side, a visitor in YCAM has no idea who is operating the moving device, they simply see a machine moving about in strange ways. It is possible as well to communicate over the phone device in the installation, but you’ll never know who it is and might not even speak the same language. The exhibition itself, and YCAM producing it, is a large step in the idea of art institutions crossing cultural and territorial borders to allow people to communicate and interact through art. The artwork is impressive and reminds me that institutions in New York, the U.S., or Europe, are not the only locations to find innovations in art and digital culture. It leaves me to wonder what topics artists from different countries are concerned with in regards to contemporary art and digital culture. The project has even spurred dialogue over reddit between internet users and YCAM staff. This occurrence seems rare and very promising in the sense of what contemporary art can do beyond being sold for millions of dollars. As a side note as well, Wagenknecht’s artwork Anonymous also comes to mind in regards to how museums can subvert space. I would not be surprised in many regards if Avatars spurs inspiration by other artists or institutions to comment on similar discourse about telepresence in art. While we see much art about virtuality and entering virtual spaces we shouldn’t so quickly ignore that we are physical beings; there are other ways to connect with art and technology rather than simply entering 3D worlds. In that regard, KS+y2 in appropriating common household objects, and YCAM in presenting the project, redefine public and virtual space, demonstrating that art institutions will and must adapt to better represent the digital world. What is, what could be. I have taken photos of other translation failures before, but this sentence was particularly wonderful. I do not get upset when Google fails, rather I enjoy this moment in time time where imperfections and misunderstandings can exist. 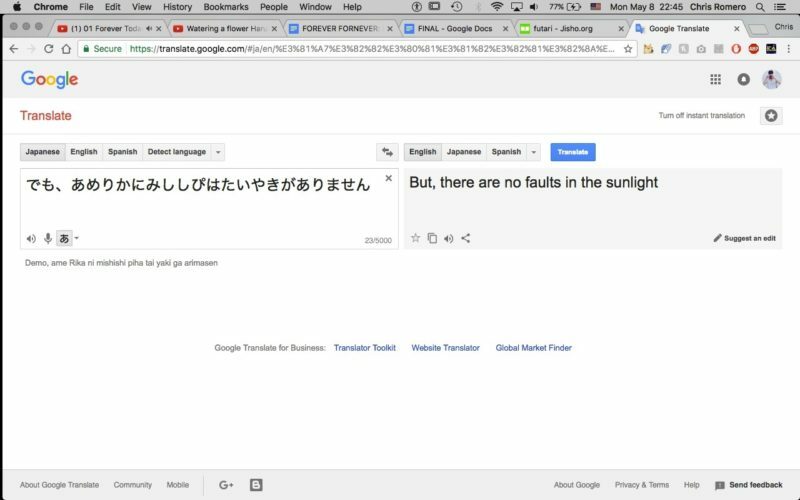 This reminds me of when Google suggested I say, [木はやおいにおいがする] instead of [木は良いにおいがする]. Despite these humorous or embarrassing moments, I never want it to be “perfect”. Unexpected results set up interesting situations. Wagenknecht and KS+y2 leads me to believe that technology, devices, and applications, should not be viewed simply as right or wrong, working or broken. Examining their work makes me think of two points. One is that the machines and materials that surround us are variable. Our expectations of them, what we think they should do, or that they have errors, are just our own projections. This way of thinking is limiting, and we apply this way about other things in the world too. The second thought is that we should play around with and break things rather than simply accepting them as is. This might sound like some type of hacker manifesto, but it is more about appreciating things for what they are capable of rather than sticking to what they originally were meant to be. Wagenknecht and KS+y2 are able to see the beauty in adaptability and imperfection instead of focusing on what is practical or logical. Chris Romero is a curator, writer, and artist interested in contemporary art and digital culture. 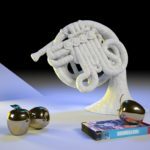 He incorporates elements of curation, archiving, video, photography, and illustration into his multi-disciplinary projects. His objective is to create collaborative activities that disrupt rigid notions of what art is or can be. He is especially interested in working with emerging artists, producing unusual and unconventional projects, and cultivating cross-cultural and geographic exchange. His upcoming projects include conducting a research residency in Seoul at the National Museum of Modern and Contemporary Art, organizing an exhibition entitled Forever Fornever, at Rhode Island College in Providence, and curating an online exhibition for the Wrong Biennale.